Website Design is a pay per click management service provider from Faridabad. The company has experienced PPC specialists that can instruct and design your advertising campaign effectively. Based on the discussions with the advertising consultant, you can select from several packages, a campaign that will generate traffic and leads as expected for your business and in turn boost your ROI. PPC is the quicke stway to get your website to top the search results on Google and other top search engines. 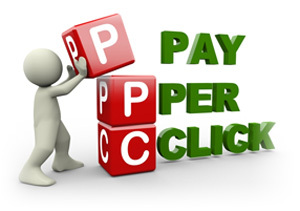 We specialize in creating customized PPC packages to manage expenses and have the expected returns. Our professional consulting service range involves keyword discovery and selection, ad text creation, conversion tracking, PPC monitoring, PPC cost management, optimizing landing pages and campaign improvement modification. We ensure you are targeting the most appropriate keywords. WebsiteDesign.org.in uses latest techniques and strategies to support and manage your adwords account professionally. Our experts keep everything transparent. We generate reports which provide meaningful insights into what is happening in the campaigns and total amount spent on the campaign. Every business is different, so it is not right to provide one-size-fits-all solution for every business. Websitedesign.org.in applies the strategy that works best for your business. We also offer complete PPC program development as well as ongoing optimization and management services.